A highly experienced leader and consultant, Chris has a 13-year track record of success in senior business roles within the Learning, Talent and Recruitment Industry. From 2005 to 2014 Chris lead Capita Learning Services on an exceptional growth curve, driving revenue from under £6m to over £200m and increasing headcount from under 80 to over 1000 FTE.He has a highly developed knowledge of the Learning industry having designed, implemented and managed ground breaking supplier management contracts such as the Civil Service Learning and Learning at Lloyds (Lloyds Banking Group). This has given Chris a unique insight into the wider learning marketplace as it has involved working with over 2000 learning suppliers to deliver two of Europe’s largest learning contracts. Chris has a highly developed set of recruitment skills and knowledge having started his career at the Reed Recruitment Group and having led four recruitment based business. Notable successes include the projects with numerous Civil Service departments, the recruitment of 36,000 team members for the 2011 Census (the UKs largest peacetime mobilisation of resources) and many deals in the private sector including Volkswagen, Lloyds of London and ASDA.Chris has personally interviewed and recruited over 1000 candidates in the sector that fall within the range of consideration for this project. 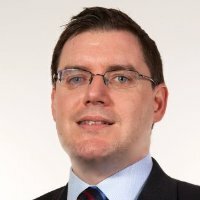 Taking a consultative and hands-on proactive approach to everything he does, Chris has extensive experience of designing bespoke recruitment processes and is uniquely placed to identify and engage with senior level candidates across multiple job roles all the way up to executive board level. Moreover, he has a highly developed set of skills within business transformation having led the reorganization and successful turnaround of four businesses during his time at Capita.